Marrakech lures travelers with promises of spices, vibrant colors, and evocative sounds like the repetitive adhān -- the call to prayer -- broadcast from minarets five times daily. With so much to see and do, planning a trip to this Moroccan city can be as confusing as navigating the chaotic souks. Here’s how to find luxury in Marrakech without breaking the bank. 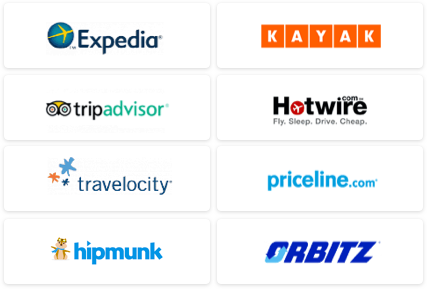 Although you might want to focus your time in Marrakech with aimless wandering through the medina -- or old city walls -- there are a few must-see sites. Travelers can take a crash course in culture and history outside the Koutoubia Mosque, the largest in Morocco, or the Saadian Tombs, built by Saadian Sultan Ahmed al-Mansour. Short on time? Imagine what life was like as part of a harem at the El Bahia Palace or as a Koranic student at the Medersa Ben Youssef . 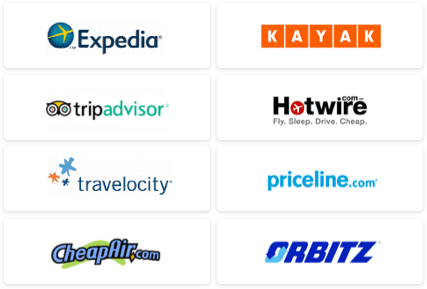 (Admission at each site is 10 MAD, or around $1). Of course, no trip to Marrakech is complete without a round of haggling in the souks. Don’t be afraid to make your best I'm-willing-to-walk-away face. Instead of paying tourist prices in Spice Square, explore the Mellah Market in the Jewish quarter like a local if you'd like to buy spices and herbs. For traditional items with contemporary flair, seek out the boutique of artist Hassan Hajjaj -- the Moroccan Andy Warhol -- at Riad Yima for babouches, totes, and poufs made of recycled bags. We also love Jaffa from D’Art Touareg, who invites you into his small shop (at 19, El Biyadine Rue Rahba Lakdima Fondok Foura Medina) without any pressure to buy. From decorative jewelry to authentic Tourag stone and silver, you can't go wrong here. When day turns to dusk, get a bird’s-eye view of Jemaa El Fna from the roof of Le Grand Balcon Cafe Glacier. For the price of a soda or tea, the terrace provides the perfect vantage point to watch the sunset, with epic views of the Atlas Mountains and Koutoubia Mosque. If you're looking for a traditional Moroccan spa experience, try the Hammam Dar el-Bach, the largest hammam in the city, for just 10 MAD. The hammam is open to men in the morning and women in the afternoon and evening. Dining out in Marrakech often means filling up on couscous and aromatic tagines. For a modern twist, grab a table at the trendy Nomad for tasty dishes that range from herb-infused couscous to calamari from Agadir to lamb brochettes, for about 100 MAD per entree. On a sunny day, make sure to get a seat on Nomad’s rooftop, which overlooks Spice Square. 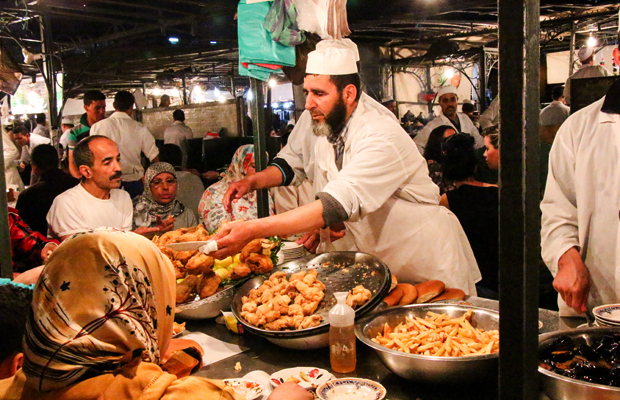 For decadent street food that you eat with your hands, spend an evening elbow-to-elbow with other diners at Jemaa El Fna. Stalls #98 or #14 are the favorite for a messy but delicious dinner of fried seafood. 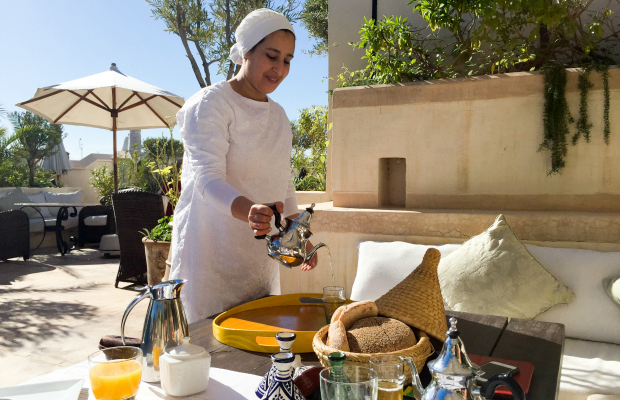 Want to learn more about the food scene in Marrakech? 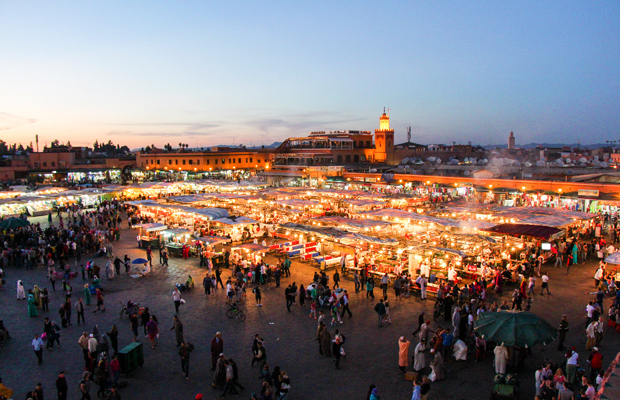 Combine sightseeing and food with a Marrakech Food Tour, which takes guests on a three-hour culinary tasting adventure through the medina for $60 per person. Amanda Ponzio-Mouttaki, an expat and local expert, also suggests two restaurants for excellent meals that also give back to the community. 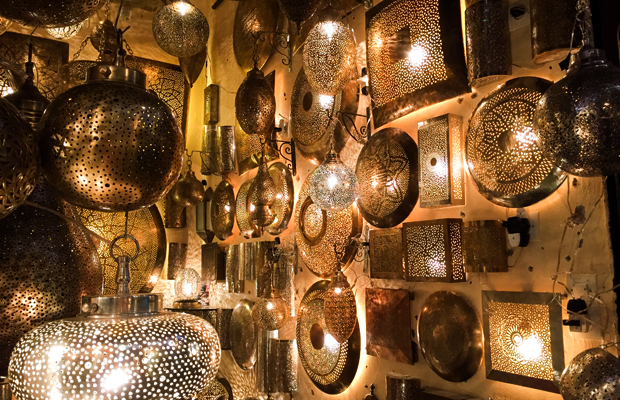 Try Marrakech Henna Art Cafe in the Medina for falafel and a henna tattoo (entrees range from 20 MAD to 40 MAD) or Amal Women’s Training Center and Restaurant in the more modern Gueliz neighborhood (50 MAD for most main dishes), where you can also take a cooking class. There's no better way to understand local life in Marrakech than by staying in a riad, a traditional Moroccan house with an interior courtyard. The Riad Camilia is our pick for the ultimate in affordable luxury with five-star service within the heart of the medina. Each of the six rooms -- starting at just $145 per night for two -- are lavishly appointed with rich textiles, Moroccan lamps, and unique art.